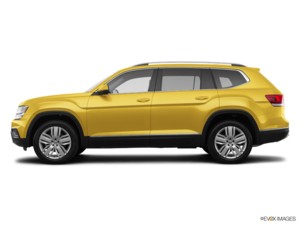 After being unveiled as the CrossBlue concept back in 2012 and then at the 2016 Los Angeles Auto Show in production form, the 2018 Volkswagen Atlas is finally here and it is everything you could ever have wanted from a family sport utility vehicle and more. Indeed, the Atlas has all the interior space and features buyers expect from a premium midsize SUV, but it also has that little something extra that comes with the brand’s German pedigree. In simple terms, the 2018 Atlas is probably the only SUV in its segment that’s actually fun to drive. The 2018 Volkswagen Atlas may be a midsize SUV, but it is actually longer and has more cargo space than a full-size Chevrolet Tahoe. That right there tells you everything you need to know about the 2018 Atlas’ interior space and versatility. There is plenty of space for your legs, shoulders, and head in front as well as in the middle of the new Atlas, and the third row of seats is more than just an occasional seating area. Kids will be fine back there and there will still be room for everyone’s bags. Starting at just over $35 000, the 2018 Volkswagen Atlas features a wide range of trims and options starting with wheels that can go up to 20 inches, a wide range of connectivity technologies like Apple CarPlay, plenty of advanced driver assistance features, and comfort options like heated front and rear seats, cooled seats, heated steering wheel, three-zone climate, and much more. There are two engines offered in the 2018 Volkswagen Atlas. The first is a four-cylinder, turbocharged 2.0 liter unit that delivers 235 horsepower and 258 pound-feet of torque. This engine will send its power to the front wheels only and will power the entry-level Atlas. We say “will” because as you are reading this it will probably just be arriving in dealerships. Most new 2018 Volkswagen Atlas trims will feature the rugged 3.6-liter V6 engine that delivers 276 horsepower and 266 pound-feet of torque at just 2,750 RPM. This engine is paired with an eight-speed automatic gearbox, has incredible towing capacity while also being smooth, and is just the perfect all-around engine for this vehicle. 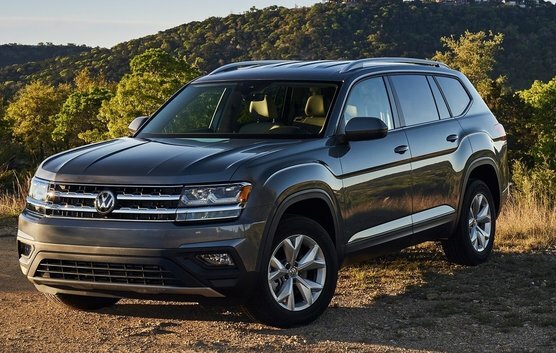 There is so much to know and love about the 2018 Volkswagen Atlas. 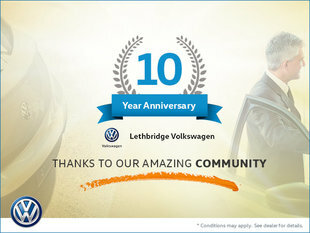 Contact us today at Lethbridge Volkswagen to find out more!